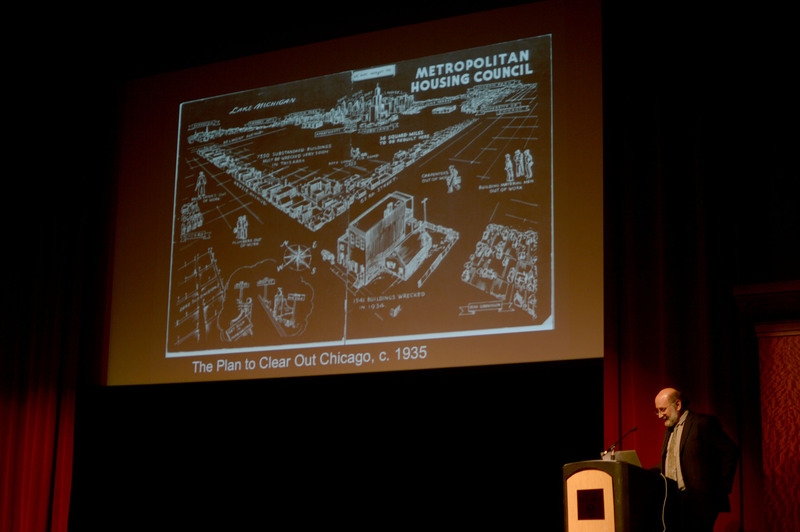 Over the past couple of weeks, two talks by noted scholars of public housing history highlighted issues still percolating in Chicago, 77 years after the founding of its Housing Authority and 13 years since it began its $1.6 billion Plan for Transformation. 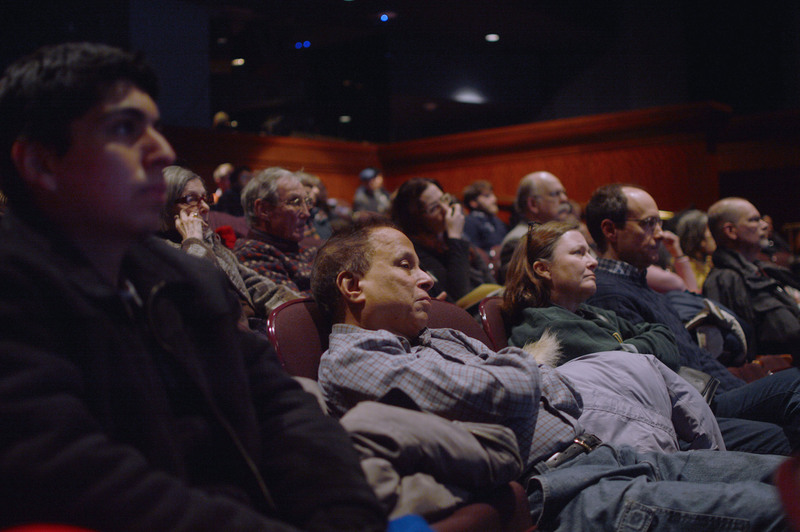 On the frigid evening of Thursday, January 23 Lawrence Vale, Professor of Urban Design and Planning at MIT delivered a lecture to a sizable crowd gathered at the Harold Washington Library’s Pritzker Auditorium. He focused on the major lessons gleaned through research for his latest book, Purging the Poorest: Public Housing and the Design Politics of Twice-Cleared Communities. Vale’s book narrates the remarkable historical pattern of displacing the very poor in Chicago and Atlanta as both cities aimed to revitalize their cores in the post-Depression era and then again beginning in the 1990s. Initially, the ambitious programs of “slum clearance” in the 1930s and 40s gave way to new public housing projects. “It’s not just sites being cleared, it’s communities being cleared,” Vale noted in his talk, as he showed images of dingy hovels and unpaved roads, the faces of unkempt children peeking out from dark alleys. His research has shown that very low numbers of slum-dwellers actually got accepted to live in the early public housing developments built on top of their former homes. “Public housing was never simply humanitarian aid to the poor. It was a sorting and evaluation system, it was a reward to a certain kind of poor person and a marginalization of others based on race and ethnicity, based on family structure, based on earning capacity or even behavior and attitude,” Vale explained. Back then, one could simple be too poor to live in the projects. Vale views the history of public housing both in Chicago and Atlanta as proceeding along the following pattern: First, the clearance of slums to build housing for the upwardly mobile working class. 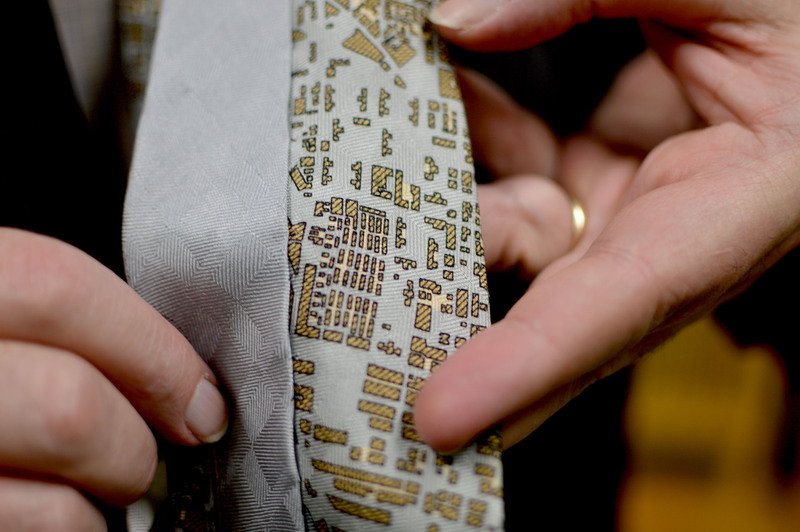 Then, as welfare and other social programs were expanded in the 1950s, allowing the not-so-poor to move out, the projects became tools to consolidate the poorest. And finally, the 1990s bring about a second phase of replacing the very poor and their very poor housing with the less-poor in better homes. 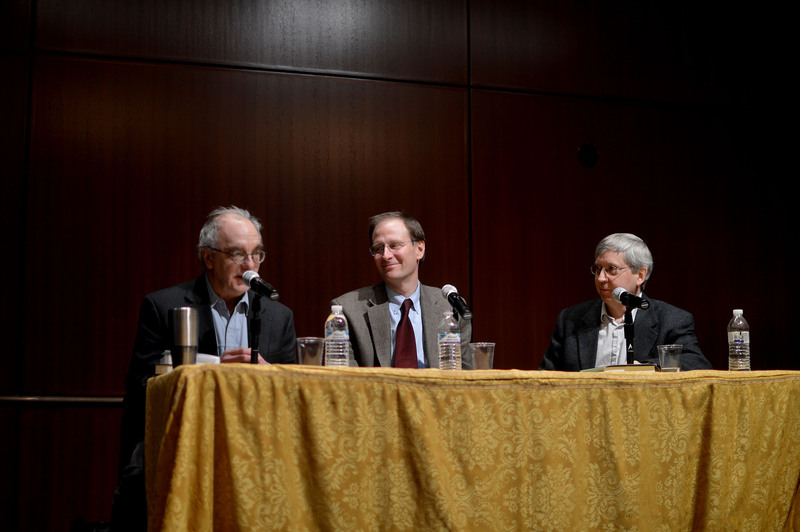 One week later, on the evening of Thursday, January 30 three historians gathered at the Newberry Library to similarly explore the policies that made American cities what they were in the post-WWII era. 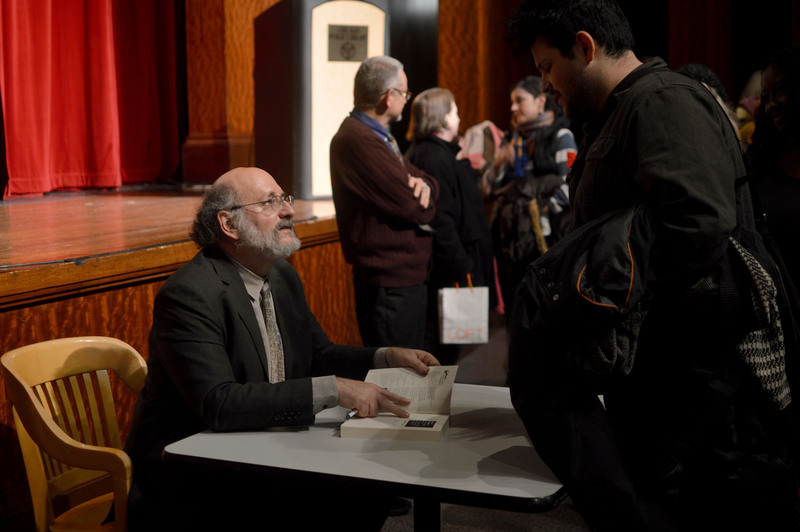 In a panel discussion moderated by University of Illinois at Chicago history professor Leon Fink, D. Bradford Hunt (Professor of Social Science and History at Roosevelt University) and Eric Fure-Slocum (Assistant Professor of History at St. Olaf College) discussed their new books. Hunt’s Blueprint for Disaster: The Unraveling of Chicago Public Housing focuses on Chicago housing policy history while Fure-Slocum’s Contesting the Postwar City is devoted to urban politics and policy in Milwaukee. Hunt explained that the first thing he had to conclude based on his research is that “It’s really hard for a government to build and manage community.” While the government could effectively run schools and public utilities, public housing presented an unprecedented challenge. One of the central problems was figuring out how to provide for public housing maintenance costs while keeping units affordable for low-income people. With rent prices tied to family earnings, the projects eventually became a place of concentrated poverty, as those whose earnings grew graduated to wider options in the private market. Another policy decision which would have staggering repercussions on the public housing history of Chicago was the conscious decision on the part of the Housing Authority to build apartments for large families. The result, in literal contrast to Alex Kotlowitz’s famous book about the Chicago projects, There Are No Children Here, Hunts points out that there were, in fact, too many children there. And while some well-intentioned policy decisions ended up creating many unmanageable problems for the Housing Authority, Hunt was quick to point out ideas that have been assigned undue importance. Namely, the role played by black politicians capitalizing on “vertical precincts” in large tracts of public housing on the South Side. While the projects “became political fiefdoms in some ways, and that didn’t always help in their ability to extract services from the rest of government,” Hunt urged the audience to remember that that didn’t mean more power for the people. Indeed, the ugly buildings where trash was not picked up by the city for months, mail went undistributed, and pizza delivery guys refused to venture, were also home to many tight communities and meticulously kept apartments. In conversations about Chicago’s welfare since the high-rises were torn down, the impact of displacement on tens of thousands of people’s lives too often goes unmentioned. At both events the authors also evaluated the current state of the transformation of public housing in Chicago and assessed avenues of hope for the future. Vale’s work has focused on what has happened at the Cabrini-Green site in Chicago since the redevelopment there started in the mid-90s through the HOPE VI program and then continued through the Plan for Transformation. The idea has been to demolish public housing high-rises and “deconcentrate poverty” by constructing low-rise, mixed-income developments where a portion of inhabitants are public housing tenants, a portion are low-income families receiving tax credits, and a portion are market-rate home owners. But the mixed-income social experiment, predicated on the idea that the problems of the poor can be solved by designing a certain type of community has been as politically fought and complicated as the original slum clearance initiatives that created public housing. In part, this is because tenant selection criteria have repeated the historical preference for the less-poor in new housing. Despite the gloomy prospects for displaced public housing residents in Chicago and the thousands more who are struggling to find affordable housing here, both authors saw glimmers of hope elsewhere in America. “While Chicago has been a disaster, there are cities we can look at like New York which has built large numbers of social housing, publicly owned, publicly managed housing, and has done fairly well,” said Hunt. Citing successful public housing transformation scenarios in Boston, Tucson, and San Francisco, Vale explained that finding the answer to pressing affordable housing questions in America is partially about how we approach the question. Only time will tell whether the CHA’s Plan for Transformation will be another blueprint for disaster or morph into a design politics more suited to addressing the needs of the poorest in Chicago.